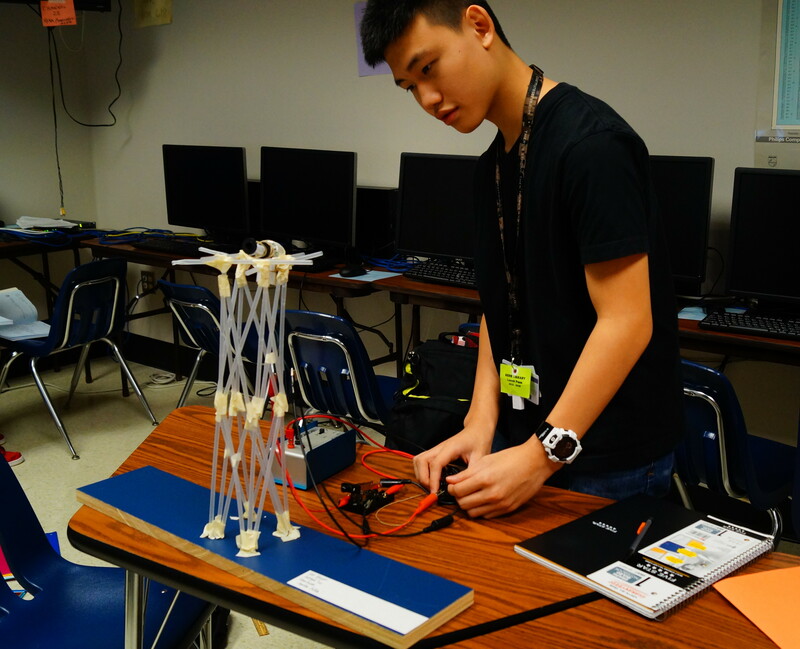 Freshman Linh Nguyen tests out his elevator mechanism by varying weight, speed, and time in a project this fall. Junior Engineer Student Kevin Murano connects the red and black electric wires to complete the circuit for his device in his Science and Engineering class. Now it is time for tedious testing to make sure the timing and functions are working properly. After some extensive tweaking like adjusting the length of the string and the amount of mass that can be carried, Murano’s project is concluded and is ready to be presented through an explanation video. Last spring, the Science Center introduced engineering as a new course: Concepts of Engineering. This fall, the second class was added: Engineering Design and Presentation. There will be more Engineering classes added in the future. Students are able to learn and develop handy skills in the Science subject while still enjoying the class. Science and Engineering teacher Heriberto Frias sees great success in this new branch of Engineering classes. Frias believes that interesting projects are an effective way to promote the interest that the engineering classes included. Murano enjoys the class since it requires knowledge from multiple science and math classes. “Some parts of the course incorporate knowledge from biology, algebra, geometry, and of course some concepts of physics,” Murano said. Murano even enjoys the restrictions put on him while working on projects. In this particular assignment, Murano had to construct an electric elevator-like mechanism. Junior Engineer Student Nam Dang is taking his second class. The creativity is his favorite part of the class. Dang has heard about the addition of more engineering classes. Dang is passionate about the recent changes to the science center. 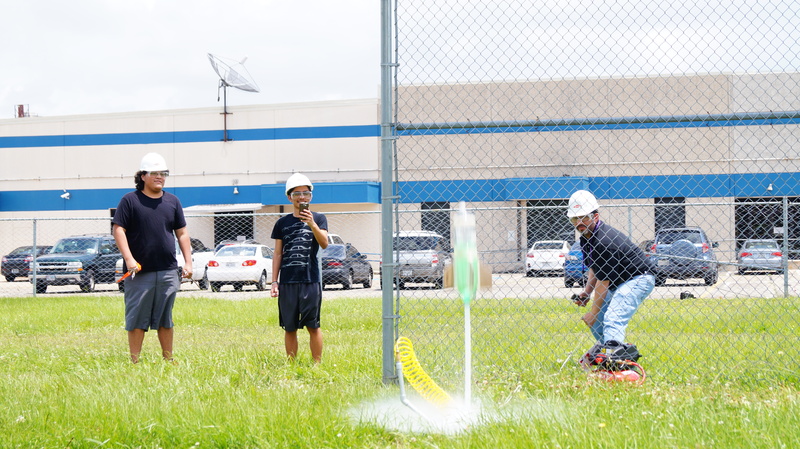 Senior Hector Hernandez, senior Tito Rauda and Heriberto Frias launch a Science and Engineering rocket project in spring 2015.